PLEASE NOTE: This machine does not come with the Dual Overhead Rack or 2 Expandable Arbors that is shown in the product image. If these products are needed, they will need to be purchased separately. The NTM Combo 7in./8in. Mach II Gutter Machine is an original polyurethane drive system machine that will produce both 7in. and 8in. K-Style gutters. Both 7in. and 8in. gutters are commonly used in commercial applications where large amounts of rain water occur. Using this continuous gutter forming machine allows for the user to design gutters to any desired size. Operation is simple and only requires the pushing of buttons to start and stop the machine. 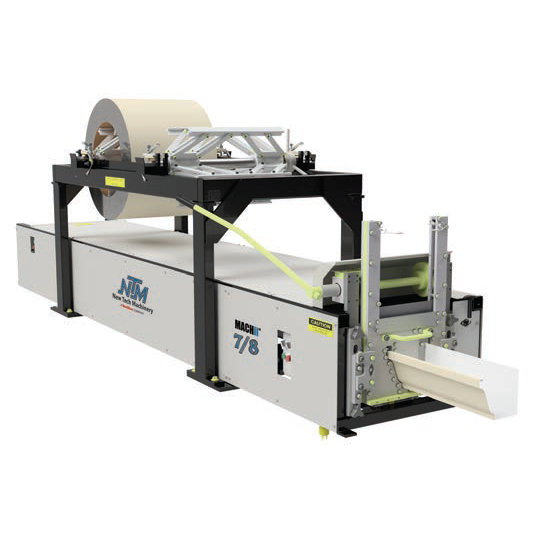 This industrial gutter machine comes with the machine, shears, and a 1.5 HP 110V motor. Additional recommended accessories such as the Dual Overhead Rack (pictured in product image), Expandable Arbors (pictured in product image), Run Out Stands, and the EZ Counter Length Control Computer are sold separately, allowing for maximum customization of your Mach II gutter machine. The NTM 7in./8in. Combo Mach II roll forming machine can make materials using painted aluminum ranging from .032 to .040in. as well as painted, galvanized, and aluminized steel at a maximum capacity of 24 gauge. Accepts 7in. 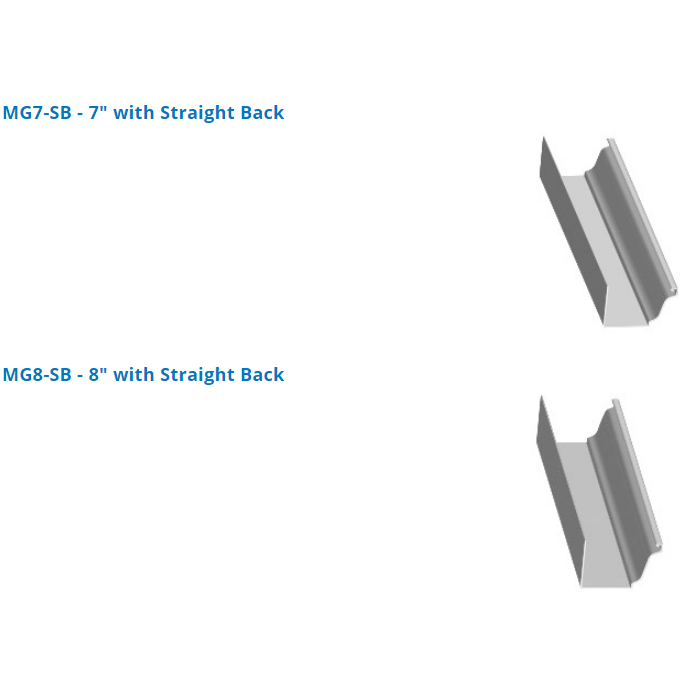 gutter coil widths of 17-7/8in. to 18in. Accepts 8in. gutter coil widths of 20in. Speed: 50 ft./min (15m/min) Approx. NTM Expandable Arbor 16" to 20"